Is there a FMA system that covers Long, Medium & Close range fighting? Lameco Escrima is the system of Filipino martial arts founded by Edgar Sulite (1957-1997) based on his training and experience with various Philippine Martial Arts masters, with heavy influence from Jose Caballero and Antonio Ilustrisimo. The word Lameco is actually a combination of the words which make up the three basic ranges of combat – LArgo (Long range), MEdio (Medium range) and COrto (Close range). At a young age Edgar Sulite’s father exposed him to the Filipino Martial Arts, himself being a boxer and Escrimador. Growing up in the barrios of Tacloban City, Philippines, Edgar witnessed many skirmishes settled blade against blade. Edgar trained with martial arts masters who included Leo Gaje of Pekiti-Tirsia, Jose Caballero of De Campo Uno-Dos-Tres Orehenal, Jesus Abella of Modern Largos, Antonio Ilustrisimo of Kali Illustrisimo and many others. In 1981, he moved to Manilla to train under Grandmaster Antonio Ilustrisimo. 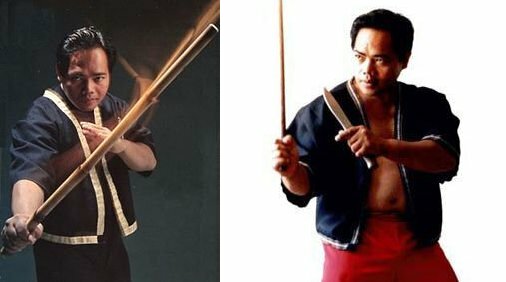 On June 30, 1989, he relocated to the United States and became the Escrima instructor of Dan Inosanto, Diana Lee Inosanto, Ron Balicki and Larry Hartsell. His plan was to bring his family over from the Philippines, own his own home, and spread Lameco throughout the world. Recognizing the talent and knowledge that Edgar possessed, Dan Inosanto would become a lifetime student and an advocate of the Lameco system. But before all of this could be realized, Edgar Sulite suffered a stroke and passed away on April 10, 1997. One of the characteristics of Filipino martial arts is the use of weapons from the very beginning of training. The primary weapon is a rattan stick, also called a cane or baston. These sticks vary in length from about 26 inches to as much as 38 inches in length or more. The weapons can vary in weight and thickness depending on the preference of the practitioner. Lameco uses Double and Single Stick, Double and single Dagger, Stick and Dagger, Sword, Staff, Handkerchief, and Empty Hands. Lameco Escrima is a synthesis of five major Escrima systems and six minor systems.